Nice, rich, young, mineral, quite opulent and complex with some toasted oak nuances, present but not overwhelming, which add flavors and contribute to the overall structure of the wine. 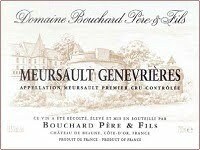 The viscous, mineral and textured mid-palate gently expands toward the long finish. A bit young still (kind of weird for me to say that while I normally like my whites to be younger and fresher, yet that is my opinion for this one) but already full of potential and promises. Liked it a lot. 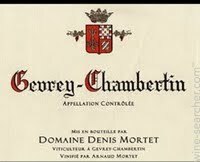 Great cherry nose with lovely minerality, classic Gevrey Chambertin mouth-feel, light to medium bodied yet rich and complex, enhanced by refreshing acidity, combining excellent texture and structure with a very long finish. I loved it. Here again, still very young and ardent, definitely a wine to revisit in a few years. Keep up the good job Mr. Mortet, I love your wines. Light, bright, lemony with a good balance and acidity with aromas and flavors of white and yellow fruit, predominantly zest lemon. Nice and easy, racy and pleasing. Lovely as an aperitif or with Hors d'Oeuvres. More opened on the nose than the last one I tasted, but riper and oaky(er) in the palate. More expressive nose with notes of eucalyptus menthol, combined to the dark fruit aromas and toasted oak, coffee and bitter chocolate. In my opinion, the wood notes are still too predominant for my taste and need to settle down. In any case, the wine is still very young. It needs to be decanted and will only integrates with a few more years down the road. 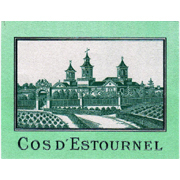 The classic earthiness and austerity of Saint Estephe also explain the tightness of the tannins too. To be revisited.